Every once in a while, you stumble upon something that nobody else seems to have paid much attention to. This all started with my investigation into a glorious product named the Vii. This was a bit depressing; there’s not much you can do with these, absent any sort of descriptive markings. Fortunately for us, the makers of this “console” decided to add a cartridge port and a 9-pin joystick controller, and then include a “VC-1” cartridge full of crappy games (“Virtual Console”, I suppose). It was here that we got lucky; the cartridge contained a standard NOR flash chip, which I was able to read out with a standard chip programmer. u’nSP? sunplus? What is this crap? Searching on Google didn’t find much (at the time — there’s a lot more now, partially by coincidence and partially as a consequence of the work we’ve done which we’ll get to shortly). We started digging, and, well, to make a long story shorter — it turns out that there is one Chinese company with several names that makes chips that you could probably find in devices you already own. 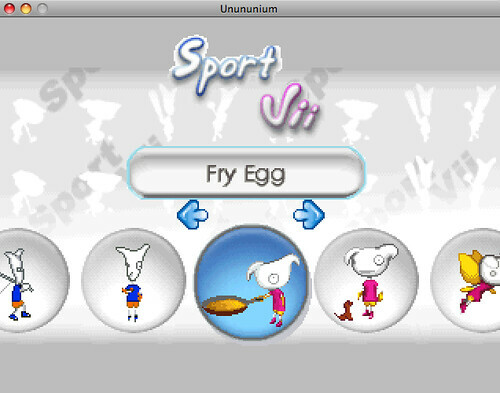 The SPG2xx series use a custom instruction set (“u’nSP”), and are designed for something like the TV Plug-n-Play games; they are used in most (if not all) of those, as well as the Vii and the V.smile (if nothing else). Segher took our dumped ROM and scant documentation and built a disassembler, and then a mostly-working emulator for this architecture (more on this below). The top of the line SPG290 uses a different “s+core” architecture, and is used in the Mattel Hyperscan. 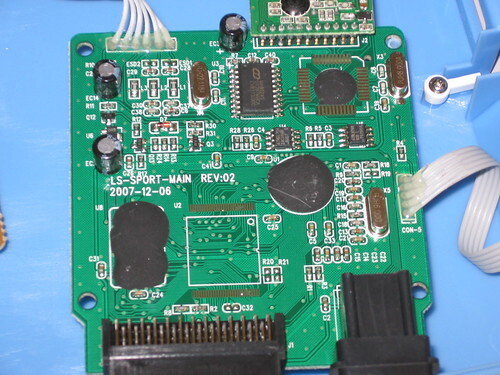 The SPMP series chips are ARM-based SoCs that are used in cheap Chinese “Personal Media Players” that also generally come bundled with NES or GameBoy emulators; see Marcan’s work on these. I’ve seen a lot of use of these chips in random USB I/O applications. The external hard drive I use to back up my laptop has a SunPlus USB-SATA bridge. They make USB-to-CCD interfaces (aka webcams!). They make chips that go into digital picture frames and portable DVD players, too. In China, they’re used for more general control applications — they make general MCUs under the “GeneralPlus” name, and it was actually here where we found the most info. Although the datasheets for the SunPlus chips are pretty hard to find, the general-purpose chips have freely-available documentation, and many of them use the same instruction set. On the GeneralplusSunplus MCU site (this all gets very confusing), you can find datasheets for other chips that use the u’nSP instruction set, and even an IDE based on an old, hacked up, GPL-violating version of GCC that supports u’nSP! Work lately has focused mostly on the V.tech V.smile, which has the advantage of being cheaply and widely available, and it takes cartridges which are just simple ROMs (or occasionally NOR flash chips) on a PCB … with any luck, we will soon have a SPG development kit for the masses, a need that I’m sure everyone will agree went unfulfilled for quite some time. This news has joyed me much more then any Wii or DSi news. Like, omg. I want a SDK. Speaking of Jakks pacific games, I should note that the Ms. Pac-Man one has a debug test. Access it by randomly bashing buttons when it’s on the license screen (haven’t found another way…) it checks ROM, RAM, does a sprite and color test, and a sound test. The sound test reveals all the sounds for Pac-Man. Strange! Pac-man isn’t included, only Ms. Pac-Man. Perhaps now that people seem to be showing more attention to these kinds of things perhaps work can be done towards getting Pac-Man playable? 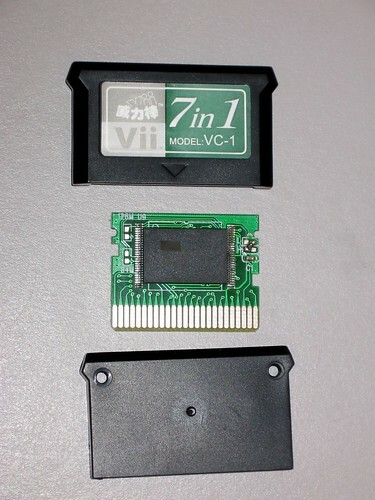 * The Vii comes with a flash cartridge – it basically says “Hack me”. * Vii is using the same architecture as the plug’n’plays and V.smile which might (or might not) mean that the games my be interoperable with some work? Oh and also, it’s apparently µ’nSP not u’nSP. With the µ the name actually begins to make sense, a play on “micron” perhaps. Zack: The Wii hasn’t needed much news lately. It’s already cracked wide open. The DSi on the other hand could need some h4x. Awesome! Have I mentioned how much I love articles like this? Yes I have. I love articles like this! All of the Jakks Pacific games have a similar testing mode. Segher found the one on Wall-e by disassembling it (it’s something like “hold down A and press left and up during the intro screen”, but mashing buttons works about as well). Bibin/bushing: It’s up / hold A / down / release A, during the first one or two screens. It’s the same on all Jakks games as far as I have seen. Not all have the same tests though. nitro2k01: On *all* games we have seen so far that have a flash (instead of a ROM), it is hardwired to be read-only. There are 40 GPIO pins that are connected differently on all games; this makes compatibility between systems harder, it is not “burn the flash and there it goes”, you need some significant coding, There are other differences as well; for example, there is a bond option that changes the coordinate system of the sprites. It has 10kW (20kB) of internal general-purpose RAM, and a little for video and audio. You can attach an external RAM if you want (we have one game that does that). Yes it’s µ’nSP, but it’s often spelled as u’nSP (or m’nSP or un’SP or unSP), presumably because people find it hard to type. It means something like microcomputer-and-signal-processor, presumably because it has this “fast” multiplier and inproduct thing. @nitro2k01: I’m speaking in general about the Nintendo homebrew scene. ps. The mp4nation link (in the next couple of pages) has some fun coding outputs :D.
hey bushing when you said “there’s not much you can do with these” are you referring to not being able to remove them or what? Ok I would like to know about other ripoffs! like the sudoku machines you find – You know with the epoxy-chip! if they have been found and looked at WHAT ARE THEY! can you show us the results from the CALCS if there is! If not can YOU guys FIND OUT what chips are in rippoff games and calc’s! Please do the lcd games! can you please decap the chips of the folowing products and post the results on this blog!!??! 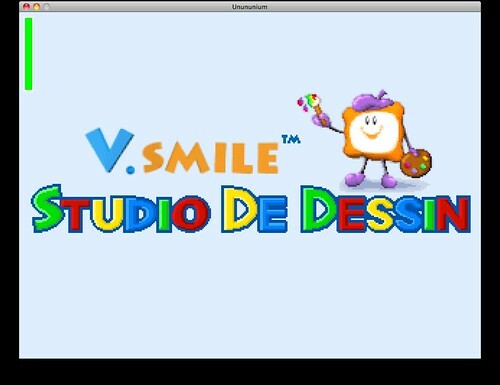 I know that it’s been a while, but did you ever make anymore progress on the Vtech Vsmile homebrew stuff? 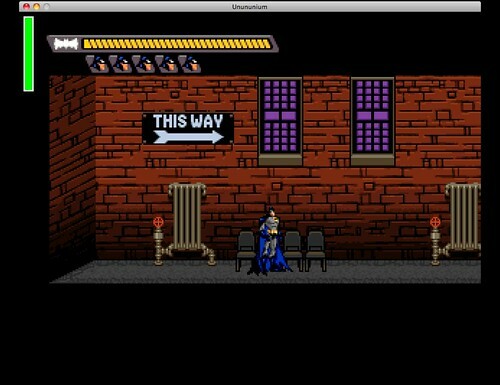 I think it would be great to have the ability to do Vsmile homebrew games.